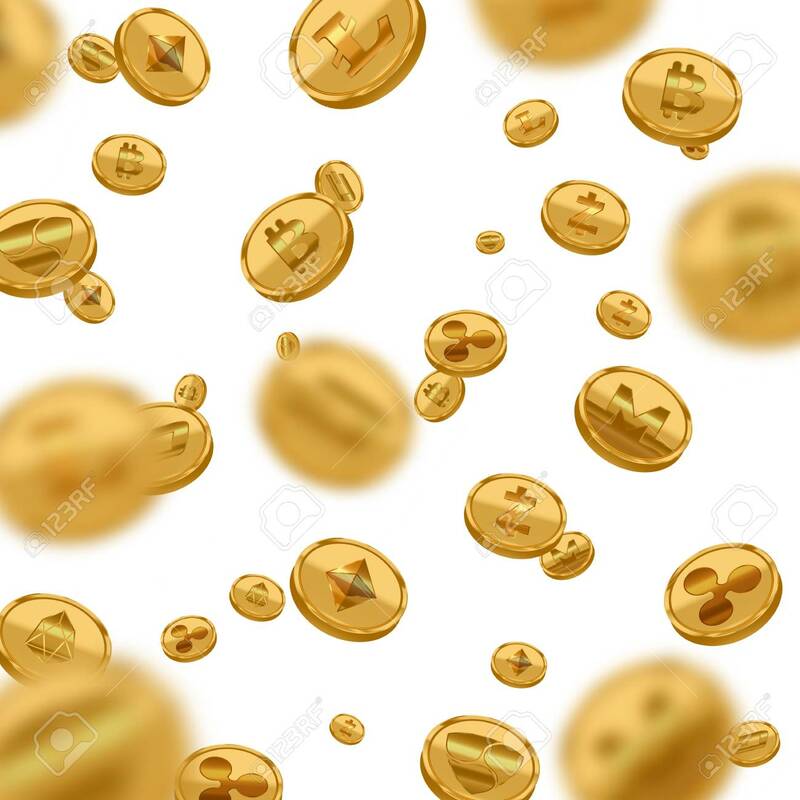 Realistic Detailed 3d Golden Cryptocurrency Bitcoin Currency On White. Vector Illustration Of Virtual Digital Coin Falling Money Lizenzfrei Nutzbare Vektorgrafiken, Clip Arts, Illustrationen. Image 119040503.